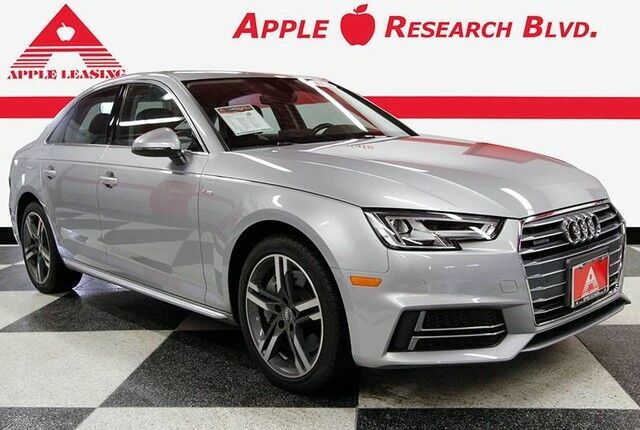 ONE OWNER WITH A CLEAN CARFAX, THIS AUDI A4 PREMIUM PLUS WITH S-LINE PACKAGE IS AN AWESOME DRIVER'S MACHINE. WELL EQUIPPED WITH NAVIGATION, BACKUP CAMERA, BLIND SPOT MONITORS, PREMIUM SOUND, KEYLESS START, POWER SUNROOF, AND CROSS TRAFFIC ALERTS....YOU'VE GOT TO DRIVE THIS ONE TO APPRECIATE IT! STOP BY OUR RESEARCH BLVD SALES CENTER TODAY AND SEE FOR YOURSELF WHAT HASSLE FREE CAR SHOPPING SHOULD BE.